Formed in September 2007, Poplar Forest Capital provides active investment management to select individual and institutional investors. Our mission is to achieve superior risk adjusted returns, net of fees and taxes, over full market cycles by investing in underappreciated companies and industries. We believe that the best investment opportunities often go overlooked by the majority of investors. Market participants tend to move as a herd, but we look purposefully in a different direction and search for great ideas among the companies and industries most other investors ignore. We believe that selectively constructing portfolios of undervalued businesses may increase potential returns while also limiting risks. Our approach can feel uncomfortable at times, but clients choose us because they believe—as we do—that price matters. 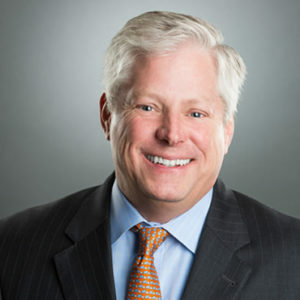 Dale Harvey founded Poplar Forest in 2007 after 16 years with The Capital Group Companies, where upon his resignation, he was a portfolio counselor managing roughly $20 billion in client assets for several of the American Funds mutual fund sub accounts. As his investment responsibilities grew, Dale discovered the challenges of managing large pools of capital. In an unusual move, he left the Capital Group and founded a unique firm where size would not impede investment results. Thomas Jefferson was a primary inspiration in Dale’s decision to found the company. Dale grew up in Virginia, 12 miles from a different Poplar Forest: Jefferson’s little-known, secluded estate. There, Jefferson escaped the very public demands that surrounded him at his more famous home, Monticello. Over time, the Poplar Forest estate grew to be the third president’s creative haven for reading, writing, and the pursuit of perfection in American architecture. And so it is no mistake that Dale chose Poplar Forest as the name for our investment management firm. Like Jefferson’s cherished retreat, Poplar Forest Capital strives to be a place where analytical rigor enables independent thought. We have built a distinctive firm that provides focused portfolios for a select group of client-partners. Our talented investment team holds true to fundamental business analysis and contrarian strategy, un-swayed by mainstream opinion or the short-term action of markets. Through Poplar Forest Capital, we are building an ethos based on values as enduring as Jefferson’s institutions and iconic architecture. Our model is one of partnership with like-minded investors–delivered with passion, integrity, humility, and skill for generations to come. We put our client-partners first, our associates second, and the company third. We believe in remaining small, so that size won’t impede investment results. We continually strive to exemplify the highest ethical standards. We personally invest alongside our client-partners. We share the benefits of scale with our stakeholders. We treat our associates equitably. With humility, we aim for nothing less than market beating, long-term returns. Even in our convictions, we remember that the other guy may be right. We recognize that mistakes are inherent in investing. We try to admit mistakes early while striving to learn from them. I have long believed that using a value based investing framework gives an investor a distinct advantage over time. In essence, value investing is about buying stocks for less than they are fundamentally worth. At Poplar Forest, our approach is more complex than simply buying the stocks that appear statistically cheapest. We believe that focusing on the quality of businesses and their long-term economics helps us avoid the stocks that are cheap for good reason while identifying companies that may not look cheap today, but do when we look several years into the future. We believe the analysis, experience and judgment that we apply to investing can’t be replicated by a computer or an index creator, and the results of the process have more than justified the hard work over time.